Hello, welcome back to medical school. I hope you had a good vacation after taking your board exams, because guess what YOU HAVE FORGOTTEN EVERYTHING YOU ONCE KNEW ABOUT MEDICINE. It is absolutely shocking how stupid I am. Again. My last rotation of last year was internal medicine. When I sat for the shelf exam, I knew how to treat heart failure patients, which drugs treated regular pneumonia and which were reserved for MRSA, and where the best place to stand on rounds was to avoid getting questions thrown at you. I no longer remember any of this. My course this month is, as I mentioned last week, one of the “integrated science courses” we’re required to take. Every morning I do the hospital thing – pre-round, present on rounds, follow the patient, and so on – and all afternoon I’m in lectures. The course is about the slowed immune systems of people with organ transplants, undergoing chemotherapy, and the like, so the patients we follow tend to require some of the most specialized care in the hospital. I spent last week on the transplant infectious disease service, which is actually just two really smart guys and a potentially unfortunate medical student (me). Okay. I still remembered how to present. I thought. I had already seen the patient I was supposed to present, so I’d obviously just need to tweak a thing or two. Right? Somewhere in there, someone superglued my tongue to the roof of my mouth. I had no idea where to even begin. As you might imagine, my attending was not impressed. “So, you’re rusty. We’ll try again tomorrow.” He abruptly got up and left. That afternoon I went to four hours of lecture on immunology. I can confidently say, as a mature third-year medical student with a full year of clinical medicine under my belt, that immune systems are a system that humans have. They are fascinating, poorly understood, and utilize entirely too many acronyms for things. They are also impossible to learn about because nothing makes sense, especially after four hours of lecture. 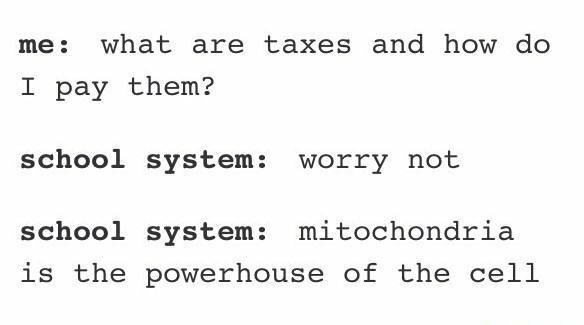 I cannot tell you much more than that, because I remember nothing from my immunology block, except that the mitochondria is the powerhouse of the cell. Just kidding. I can tell you way more than that, including such clinically irrelevant details as “precursor MHC Class I molecules are bound on the luminal side of the endoplasmic reticulum to TAP and tapasin, only becoming freed when exposed to an endogenously processed peptide antigen,” which is a sentence that was spoken out loud this week by someone potentially named Nate in class. Although I said it, I have no idea what it means. This knowledge has the same practical application as knowing that the development of the Greek phalanx fighting formation was a nominal driver for the rise of direct democracy, which is to say none whatsoever. Anyway. The moral of the story is that I have forgotten everything from a mostly bare cupboard already, immunology is extremely hard,* and I maybe should not have tried so hard to erase everything from my brain after The-Test-That-Shall-Not-Be-Named this summer. BOOM SNUCK IT IN THERE! **This is a direct quote from a paper I once wrote, probably in the thirty minutes before it was due, because I was a liberal-arts major and got participation trophies for trying, and we did such things in college. I got an A on that paper based at least 95% on the fact that I snuck in references to both Braveheart and an Alfred Lord Tennyson poem into the same sentence. This week I go on the kidney service to take care of renal transplant patients. Please pray to your supreme deity for me. Dude your posts are great. Keep it up.